It was about time to dig these Rick Owens flap boots out of the archives of my closet. I have no idea why they have not got more wear, perhaps they are more suitable for the bizarre but laid-back clubs of Berlin than they ever were back home. Here no one looks at you like an alien, even though they could easily mistake me for one while wearing these bad boys. Thanks Martin! I shall get these shoes out more often.. I love those boots- I had them in milk at one point, but I decided to sell them and get the normal ankle-height black RO wedges. I wish I could have afforded to keep both, but the normal wedges are my favourite ankle boots now, so I can’t be too sad about it. I hope to get a black pair one day. They look great slouched down, easier to wear every day. Milk color in these sounds nice but probably quite hard to keep clean? I also love my regular Rick wedges because they are so damn comfy and easy to wear with anything really. I actually never wore them. I brought them all the way back from Paris too! I just knew they wouldn’t get worn a lot due to the colour- keeping them clean and incorporating them into a black wardrobe. I’m a big fan of one colour (multi textures) head-to-toe, so my plan was an all milk outfit. Totally understandable! That is why I don’t have any light colored shoes, I am way too careless to keep them clean and yeah, incorporating them into an all black wardrobe is a bit difficult.l am also a fan of one color outfits, I like how you can play with the shapes and textures of the same color (or lack there of haha). 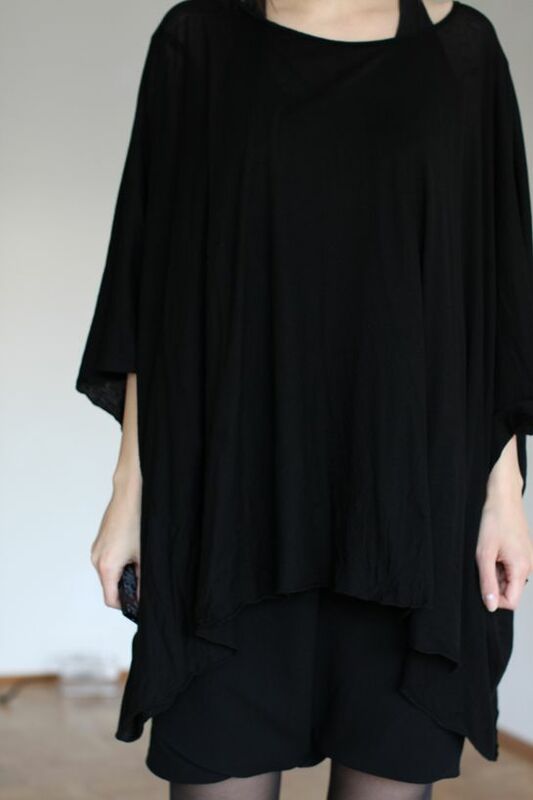 I very rarely wear black but I soooo would if it looked as chic and effortless as this! Those boots are amazeballs! I’m a new follower! Please feel free to return the favor if you feel so inclined, chickadee! Don’t be a stranger! Hi there, thank you and welcome aboard! I like your style so much! Boots are amazing :)) Where have you bought them? 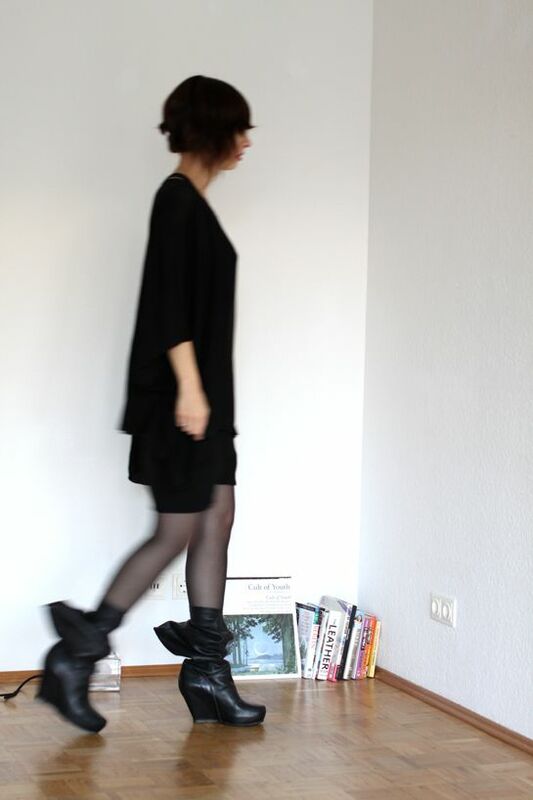 Do you know is there any boutiques in Finland where i can buy Rick Owens boots? Thank you so much! I know that Helsinki10 carries some Rick Owens boots in Finland and maybe is the only one too http://shop.helsinki10.fi/. I bought mine online from a private person some time ago, if you look on ebay or some online shops, you might find them on discount at the moment. Good luck with the search! Thanks a lot! That Helsinki10 looks very nice shop and all the clothes are stylish.